Google has launched a new Chrome extension designed to keep your online accounts secure at all times 8 Tips for Online Safety Used by Security Experts 8 Tips for Online Safety Used by Security Experts Want to stay safe online? Then forget everything you think you know about passwords, antivirus and online security because it's time to be retrained. Here's what the experts actually do. Read More . 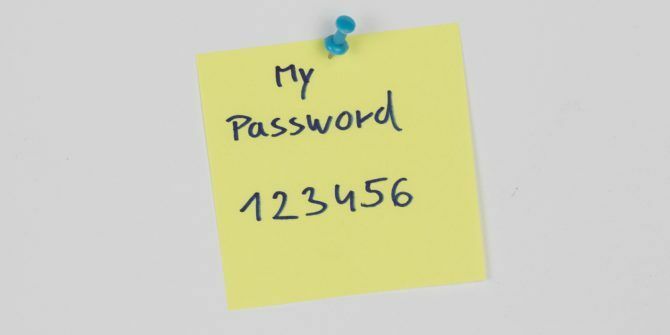 Password Checkup does exactly what the name suggests; checking to make sure your username and password combination are secure. The web can be a scary place. There’s malware and phishing emails lying in wait, and hackers seem to be stealing data left, right, and center. Google is doing what it can to keep you safe, and its latest effort is a Chrome extension called Password Checkup. All you need to do is install Password Checkup on Google Chrome. Once installed, you’ll see the Password Checkup icon in your browser bar. Then, everytime you sign into a site, Google will check your login credentials to see if they are still safe to use. If your login credentials aren’t on the database you’ll be free to continue. However, if they match a set in Google’s database you’ll be alerted to the problem. Google will then suggest you change your password to something else not already exposed. Google is keen to emphasize how secure this process is. Your login credentials are “strongly hashed and encrypted” when sent to Google. And the company uses “blinding and private information retrieval” to search through its list of logins. Password Checkup is essentially Google’s version of Have I Been Pwned, but in the form of a Chrome extension. And with the monster data leak of January 2019 Monster Data Leak Exposes Millions of Passwords Monster Data Leak Exposes Millions of Passwords Collection #1 contains hundreds of millions of email addresses and passwords. So it's time to check Have I Been Pwned again... Read More containing hundreds of millions of logins, this is timely. That is if you trust Google with your data. Explore more about: Google, Google Chrome, Password. The problem is, is that the standard keyboards, especially Samsung, are useless and very restrictive. It looks as if now Google will have all one's usernames and passwords, added to everything else they know about us.